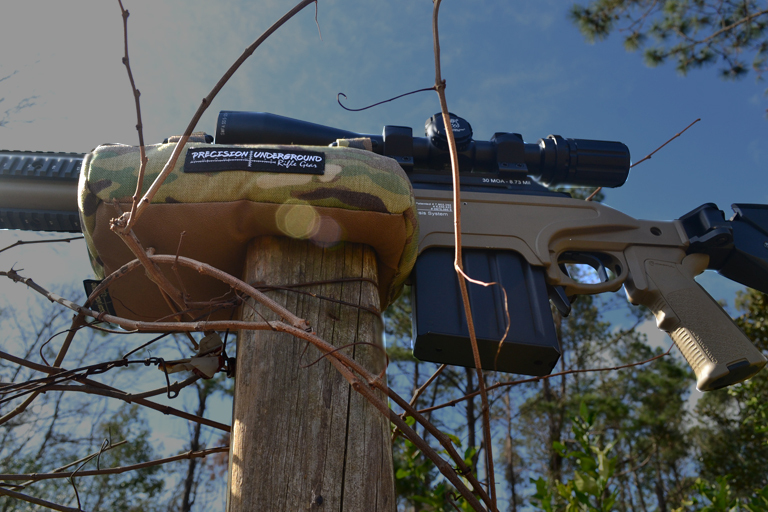 The Recon Bag is the perfect bag for the range, the woods, or for competition. With two grippy sides and under 5 pounds it will provide you a stable shooting platform in almost any situation without having to weight yourself down a with bulky, heavy bag. 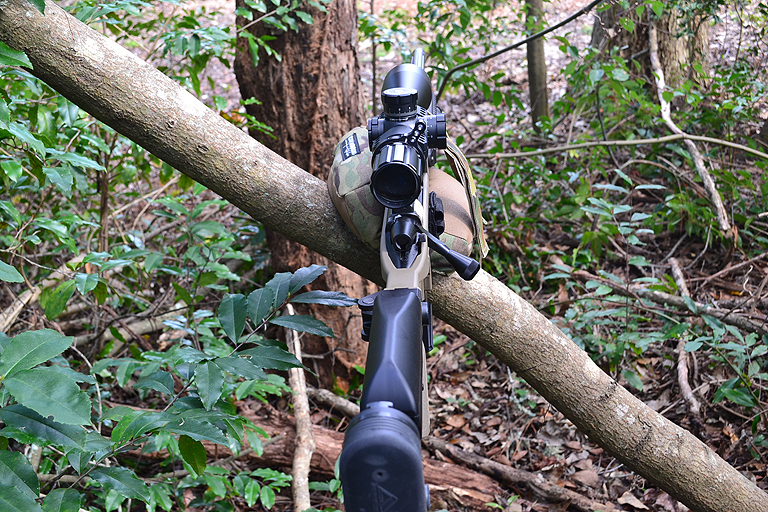 Two straps allow you to attach the bag to your rifle or attach it to your pack for a long haul through the woods. The Recon bag measures 8.5x7x3 and weighs around 4.5 pounds. Our unique fill does not slip on itself so the bag will stay where you put it. It is dense like sand but unlike sand will conform objects it comes in contact with. The dense, “sticky” fill conforms to the obstacle and the grippy surface of the bag becomes locked in. The standard straps come placed with a bias toward one end of the bag. 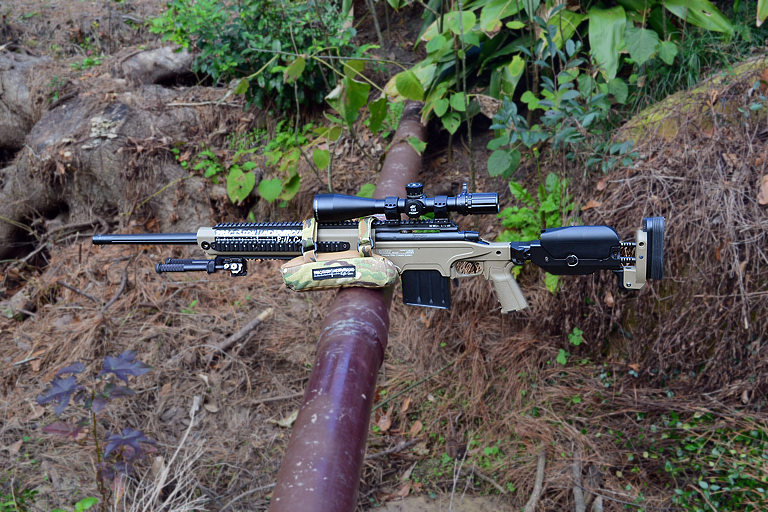 This allows the straps to loop over the scope base or the scope itself on rifles without a railed forend. The straps contribute to stability but are mainly to allow the bag to move with you. If you would like the straps in a different location or would like to use carry handles rather than straps just specify so in the order notes. We can accommodate all special requests.